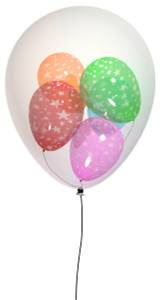 We've reduced loads of party bag fillers, bubbles, blowouts and party CD's in our end-of-season sale. Save up to 50% on many items! Grab them now because quantities are limited and once they're gone, they're gone. Stock up for your future birthday parties and save money while you can! 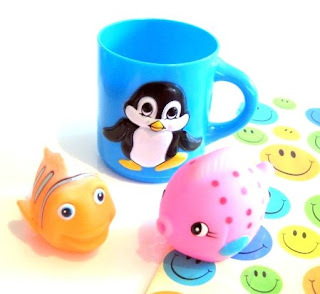 You can see all our reduced items in the sale section of Funky Dory Party Bags. 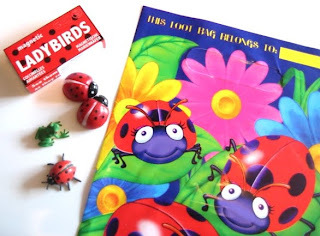 The backyard safari filled party bag is a lovely new product for lovers of bugs, minibeasts and all things creepy crawly! The loot bag itself is so pretty it will appeal to even the most squeamish of children. It contains either a pair of magnetic ladybirds or frogs in their own matchbox, alongside a miniature frog and miniature ladybird (both really tactile and very finely detailed). As the fillers are quite small, there's plenty of room left over to add extra fillers, as well as that all-important piece of cake, and another treats you fancy! Then, you'll need a football party bag! 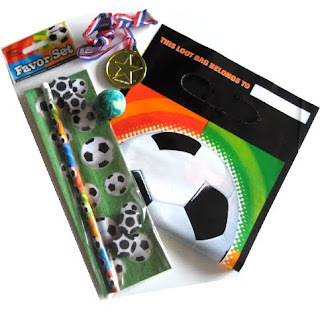 This new product consists of your choice of party bag filled with a football stationery favour set, a jet ball and gold winner's medal. It's great value and of universal appeal to football fans. We have lots of other football themed party products including lunch boxes and personalised fabric bunting, in our football party section. New in today are some new filled party bags for girls. 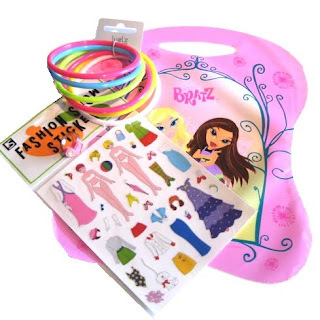 The first one is a Fashion Girl Party Bag which contains a set of 6 bright plastic bangles, a fashion ring and a sheet of fashion stickers. Great for Bratz fans or any type of girly party. The next is a Filled Fairy Party Bag which contains a chunky wooden necklace, fashion ring and a strip of glittery temporary fairy tattoos. Lovely for little girls and fairy fans. Many thanks to all of you who entered our Summer competition to win an Organised Mum party planner. Congratulations to the winners, who have been chosen by random, and notified via e-mail. The list of winners names can be found on our competitions page. "Women go to deranged lengths to stage a party for a child" according to Dave Barry of the Miami Herald. I disagree (well, I would, because I'm one of them), but it is very easy to get sucked into buying everything you could possibly need to try and make sure every eventuality is covered. Through speaking to parents over the years, and having planned a few kids' parties myself, I've come to the conclusion that it's possible, and perhaps preferable, to keep things simple. "First off, the party would be about a month after the child's actual birthday, which is when dad would remember it. Dad's party theme would be "delivery pizza," which would also serve as the cake, the craft project and the party favor. The entertainment would be pulling dad's finger. The kids would have just as much fun." You can read the whole of Dave's article here. 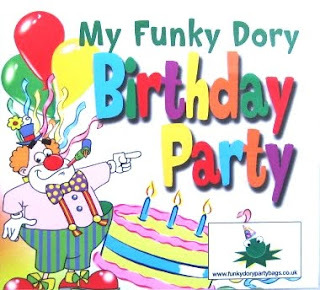 You can find lots of simple party game ideas, party food ideas, as well as general party tips and some simple printable colouring sheets Funky Dory Party Bags. What do you think of this for an unusual, eco-friendly party bag filler? It's a recycled paper product, embedded with wild plant seeds, so that once you've finished with it, you can plant it and be rewarded with a colourful array of wild flowers. You can buy plantable invitations, place cards, and note cards, but our favourites are the plantable bookmarks. They are really pretty and can be customised with your own message, and would make fantastic, unusual party bag fillers. We've just added another bath-themed filled party bag for toddlers. This bag contains a plastic penguin mug, bath fish or bath boats and the option of a Tinti bathwater tablet.